Find out the best hair growth vitamins for hair thickness and fullness. Hair loss treatments and hair growth medications make dramatic hair growth claims. But to nourish hair follicles from within through your natural hair growth cycle, take drug free hair growth supplements with a blend of essential vitamins, minerals and other nutrients for healthy hair growth. Here is your ultimate guide to the best hair vitamins for thicker, fuller hair. Biotin is one of the best hair growth vitamins. This B-vitamin complex helps the body metabolize fats and carbohydrates, aids the body’s breakdown of proteins and the conversion of amino acids from protein into blood sugar to produce energy. Because of its role in the breakdown of proteins, Biotin is essential to improving the strength and health of hair, nails and skin, protecting hair and nails from becoming dry and brittle. It improves the strength and elasticity of the thickest layer of the hair shaft, the cortex, helping to prevent damage and breakage from overstyling, heat styling and UV rays. Vitamin B3, or Niacin, is another B-complex vitamin that helps metabolize food to provide energy in the body. Niacin is one of the best hair growth vitamins because, in addition to preventing a number of serious illnesses and disorders, Niacin is required to maintain healthy cells and to enable the functioning of fats and sugars in the body. Because of its role in cell and DNA repair, it also helps repair damaged hair. Niacin helps repair damage to cells and facilitates hair growth, preventing hair from shedding or becoming dull and brittle. Vitamin C, a powerful antioxidant, is one of the most effective and best hair growth vitamins. It is essential for hair health because it helps the body to absorb Iron into the blood. Iron then circulates to hair follicles, promoting strong, healthy hair growth. Vitamin C is required for the production of collagen. Collagen is key in the formation of connective tissues, which help our organs to function and form the structure of body parts such as hair. Vitamin C is essential in forming strong, healthy hair strands. These are 3 of the best hair growth vitamins to boost the thickness and fullness of your hair. 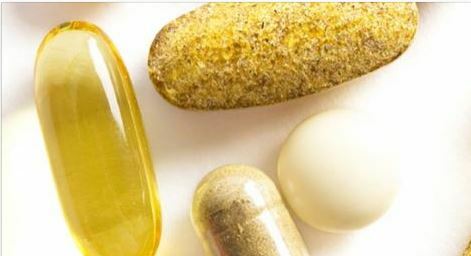 To be sure you do not have a vitamin deficiency in any of these nutrients, eat a good healthy hair diet or take a complete hair growth supplement that contains all of these hair vitamins, such as Viviscal Extra Strength.